OSU throws its hat in the ring for a rising star DB. OSU is the latest to offer the 6-1, 193-pound defensive back whose star is rising, literally. 247 Sports just upgraded Gonzalez to a four-star recruit and tabbed him the No. 24 safety in the 2020 class. 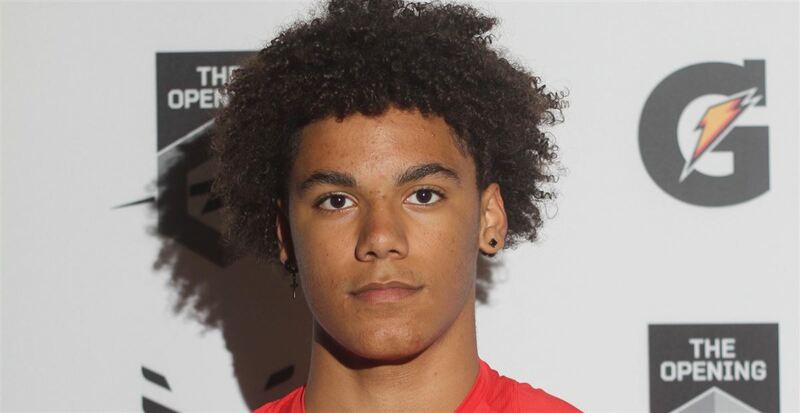 Rivals lists him as a cornerback, but with his size (up from 180 pounds listed previously) Gonzalez projects as a safety at the next level, a position of need for OSU who has yet to receive a pledge at safety for next year’s class. This makes offer No. 23 for The Colony, Texas DB with the likes of Notre Dame, Arkansas and Washington State already in the mix, as well as Big 12 schools like Kansas State, Kansas, Baylor and Texas Tech. This March, Gonzalez took part in Nike’s The Opening and recorded a 4.74 40-yard dash, 4.58 shuttle time and a 33.4 inch vertical leap. Those numbers don’t jump off the screen but are more than adequate for a back end defender at the next level. As a junior, Gonzalez earned first-team all-district honors as a corner grabbing 29 tackles, two tackles for loss, nine pass breakups, an interception, a forced fumble and a recovered fumble. He also played receiver on the offensive side of the ball. Take a look Gonzalez’s junior season highlights.